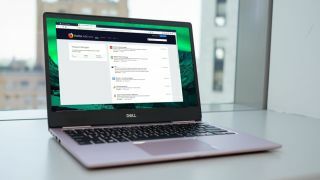 It looks like Firefox will soon support the delivery of notifications via Windows 10’s Action Center, catching up to its big rival Chrome in this respect. As Windows Latest spotted, going by a post on Bugzilla, this capability is now present in the pre-release version of Mozilla’s web browser (Firefox Nightly), where it will be thoroughly tested before rolling out to the general computing public with Firefox 64. When that happens, Firefox will push any notifications to the Action Center, where they’ll be highlighted for the user. The browser won’t deliver its own notifications at that point, as obviously no one will want to be notified twice via Windows 10 and Firefox. As mentioned, Google has already provided this functionality with its Chrome browser since version 68 began to roll out a few months back. However, if you don’t want Action Center notifications with Chrome, you can disable them and keep Google’s in-browser notifications instead. Presumably Mozilla will offer this option, too. As with Chrome, when Firefox pushes notifications to the Action Center, these will benefit from Windows 10’s Focus Assist feature, which turns off notifications at certain times (so they don’t prove to be a distraction). That’s certainly an added benefit here. Firefox 64 should emerge with a full release at the end of the year, with a target date of December (the current stable release is Firefox 62).